When you chose our office for your care, we did not take your decision casually. We are honored that you have selected our office when there are so many options available. We will do our best to ensure you are satisfied with your decision by offering you exceptional service and results. 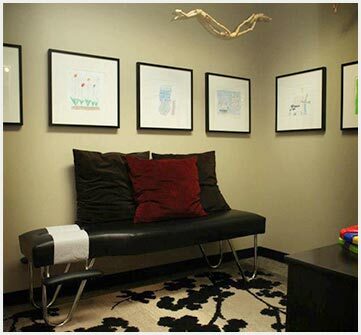 Your first visit will include a thorough history of your current or past health concerns and experiences. An examination will be performed including surface EMG, thermal scan, asymmetry evaluation, orthopedic and neurological testing, postural analysis, range of motion and evaluation for subluxation of your spine. Please allow one hour for your initial experience in our office. After the doctors have spent significant time reviewing your examination and coordinating your care they will meet with you on your second visit.This visit will be comprised of a review of your findings and an explanation of insurance and office policies. After you are fully informed and give us permission to go forward with your care plan, you will receive your first adjustment on the second visit. Your second visit will start with a thorough review of the evaluation taken during your examination. The folder with specific handouts pertaining to your health concerns and subsequent recommendations will be handed to you. After the review findings our office manager will tell you about our office policies and also discuss any insurance coverage that may pertain to you. 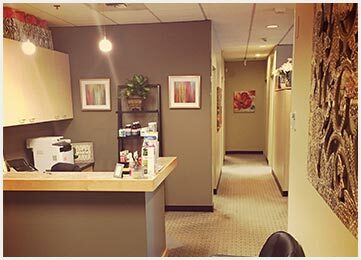 After you meet with our office manager you will receive your first adjustment which will be fully explained and demonstrated for you before we start the hands-on process. Our doctors primarily use three different types of chiropractic techniques: Thompson drop (modern force adjustments with a segmental drop table), activator (adjusting instrument to give consistent low force, high-speed chiropractic adjustments) and diversified/manual ( slightly more assertive adjustment techniques made with specific hands on movements). All of these techniques are proven gentle and very effective. Our doctors also use adjunctive therapies like heat and ice, active release technique tm, massage, traction and therapeutic exercise instruction. After you and your doctor have agreed to a care plan, your visits will be scheduled out so that you can receive the appointment times that work best for your schedule. After the care plan has been completed to a success indicator progress evaluation will be performed. This will include all the tests that were performed on your initial evaluation and then a comparison analysis will be performed and presented to you on your second review findings. At that time it will be established what the next best steps towards wellness are for your individual health profile. Please allow 30 minutes for follow-up visits to account for adjustments, heat and ice time, exercise instruction and check in /check out. These are evaluations done periodically throughout your care at Lifetime Wellness Chiropractic to ensure that we are meeting the goals you and the doctor laid out at the beginning of care. This will include all the tests that were performed on your initial evaluation and then a comparison analysis will be performed and presented to you on your second review findings at the time it will be established with the next best steps towards wellness are for your individual health profile. Our office is happy to provide complementary verification of benefits to you prior to your first visit. During your second visit you will meet with our office manager to review benefits and office policies. Questions are welcome anytime in our billing office regarding your account. Please note that your contractual agreement is with your insurance and that ultimately you are responsible for all charges incurred in our office. Also note that at Lifetime Wellness Chiropractic, our thorough approach to your health may involve treatments that may fall under your physical therapy benefits. Heat, ice, therapeutic exercise, and manual traction are all types of care that your insurance may decide to apply to your physical therapy benefits. Please be aware of your personal insurance companies practices. *Please note that we also welcome self-pay patients and have several plans available to make your care affordable.